If a parish is described as a Eucharistic community it implies that it is one centred on the celebration of the Eucharist. A key word here is celebration: do we really "celebrate" the Eucharist? The term suggests joy, spontaneity, exuberance, entering into the party spirit of the community. I once asked an altar boy what it means to celebrate Mass and he replied "You know, it is like at a party: we live it up". Yet what we do as a routine, as a weekly obligation, hardly sounds like celebration. A cynic once depicted Mass-goers arriving at church as if they were going to a service station: "We drive up, we fill up, we pay up, we drive home". Eugene's book, the Aborigianl gift, is available via the Blue Mountain Education & Research Trust website HERE. Australian Aborigines can teach us a lot about celebration. Anyone familiar with Aborigines, especially in traditional communities, is struck by the high regard they hold for ceremony. Literally, they live for ceremony. It is the high point in the life of the community. I visited Balgo some months before a ceremony was to take place and the people were already making preparations. Already there was an air of excitement and expectation. They were already celebrating in advance: the ceremony had begun. Well after the event I heard people continue to tell of the ceremony. It seemed to me that in anticipation and retelling, ceremony overflowed into daily living, imparting to it an almost continuous celebrative spirit. One could say of Aboriginal attitude to life in general that their daily life, punctuated by high peaks of ceremony, was a continual celebration of creation Dreaming. The Dreaming is the story about beginnings, the origin of the Land and its peoples, of their customs and ways of doing things, the foundation of Law. It is not simply the story of a past event. It is still going on, in Stanner's famous phrase, "an everywhen". Life itself is a celebration of the Dreaming, with its heightened encapsulation in the ceremony. What lifts life itself, and pre-eminently its peak expression in ceremony, out of the ordinary is a special character I like to term "living in the myth". This is living day to day with a constant awareness of the eternal deep meaning. The Dreaming is ever going on and I am part of the ongoing process, adding to its momentum in my turn. My life, my acts, especially those in ceremony, assure that the whole is going on, just as we all participate in the ceremony in our given roles. A major difference can be seen in the way non-Aboriginal Australians celebrate. In the wider community celebration is divorced from ordinary life. It is time out from the day to day. It is an excuse to break away from the humdrum routine of daily life. Often it is evaluated on the degree of escapism it achieves. Young people often describe the Mass as "boring", showing how they place the sacred action in the category of entertainment, entertainment that has failed. More often we are spectators of ceremony, rather than participants. 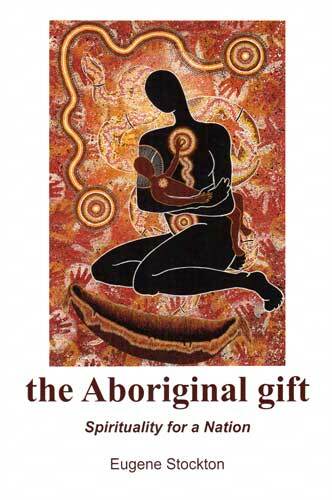 What can we learn from Aboriginal celebration and apply it to Christian living. Our Dreaming is the mystery of Christ. At the core of our Gospel is his Incarnation, Death and Resurrection – the Paschal Mystery. It is not just an historic event, but lasts in time, ever present. "Living in the myth" for a Christian is the Pauline "live by faith". It is to realise in oneself the mystery of Christ still going on – one's own deification and the repeated passage of life-through-death. As Paul claimed "I live no longer I, but Christ lives in me" [Gal.2:20]. In faith awareness, I am celebrating this mystery in my daily life, rising to its peak in the Sacraments, pre-eminently in the Eucharist. Our celebration of the Eucharist is not limited to the time span of the Mass, but extends to its preparation and recall. Eucharistic devotion is expressed in the Communion Service, visits to the Blessed Sacrament, Benediction, ejaculations, moments of awareness of the whole meaning of life coming to light in the Mass – our life is a Eucharist. E. Stockton The Aboriginal Gift: Spirituality for a Nation. Revised Edition, Blue Mountain Education and Research Trust, Lawson, 2015, pp.83-6. "Party" Landmarks: A Spiritual Search in a Southern Land. 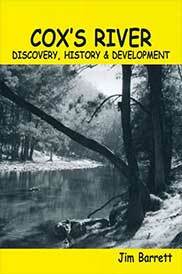 Revised Edition, Blue Mountain Education and Research Trust, Lawson, 2013, pp.101-112.